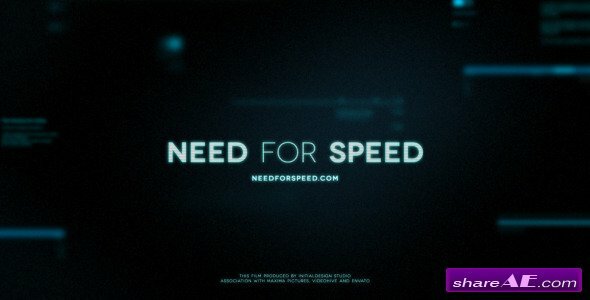 Welcome to the new version of Youtube Channel Promotion! 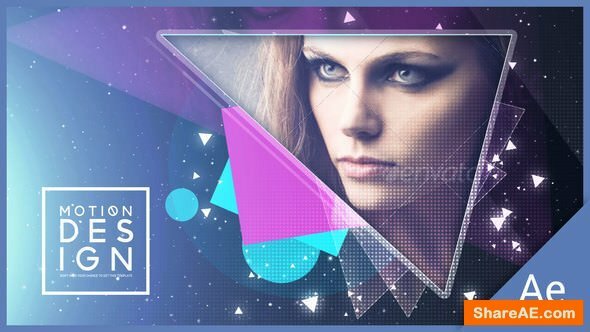 Youtube Channel Promotion V2 is the complete package for your Youtube channel; with a fresh and flat style you have all tools to pump your channel. This template has been designed to be integrated with youtube annotation! Tuners, Engine Freaks, Hot Rodders, Quarter Milers, Reviewers, Exotic Car Lovers, Motocrossers, Enduro Racers, and all Auto- and Bike-Enthusiasts! 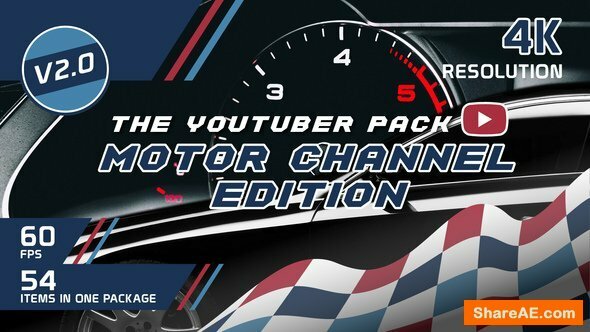 This is the only pack you will ever need to take your Motor Channel to the next level. In 6 different styles you get the essential elements that are perfect for car reviewers, auto vloggers or hypercar spotters. We put extra effort and love into 6 super easy to customize leaderboards so you can even cover sports events, show off rankings of any kind or just use it as a general tournament highscore table. 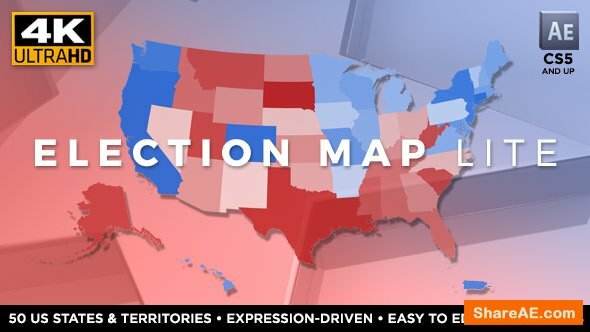 Election Map LITE is the simplest, easiest, yet most powerful way to build an election results show. Election Map LITE is incredibly simple to customize, with intuitive, easy-to-use data entry interfaces, so you?ll be able to create a professional election results graphics with minimal effort. 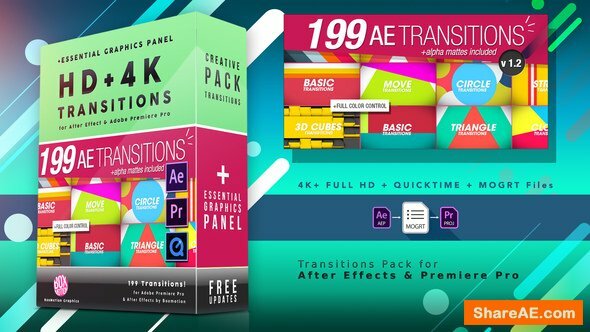 This package includes 199 motion graphics transitions. All the transitions are easy to customize. Color control for each layer for fast color change. 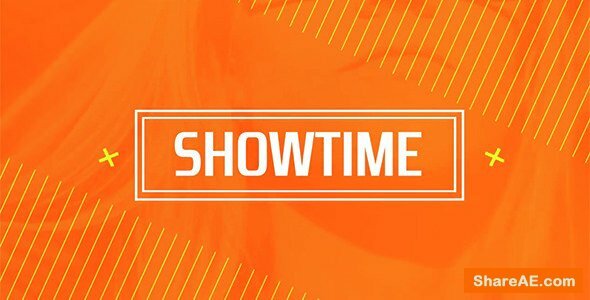 Preview Gallery of all the transitions is included. 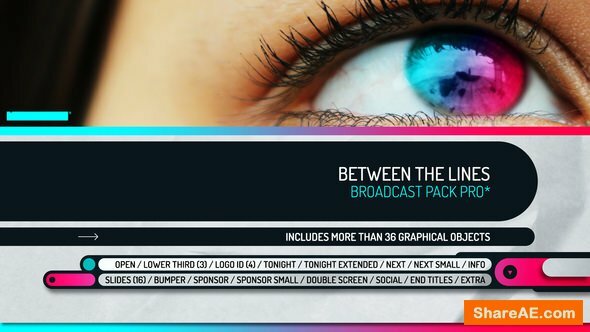 “Local News Pack 2” is a template created in After Effects CS5 in Full HD and no additional plugins are required. 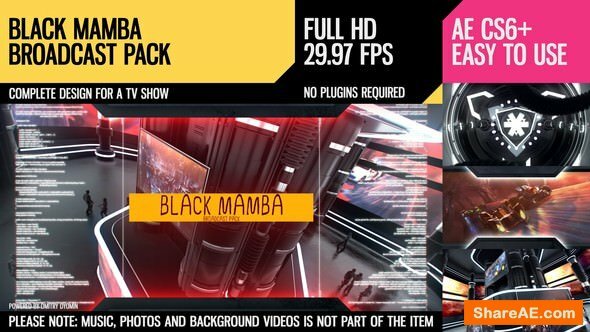 The package includes all the graphics you need to create an outstanding look for your TV channel.Footages and other photos are not included. 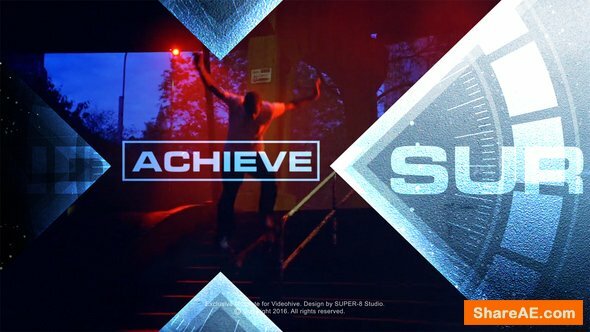 Extreme Sports Package captures the spirit of competition while framing the human machine with grungy-cool visuals that will give viewers a shot of adrenaline! 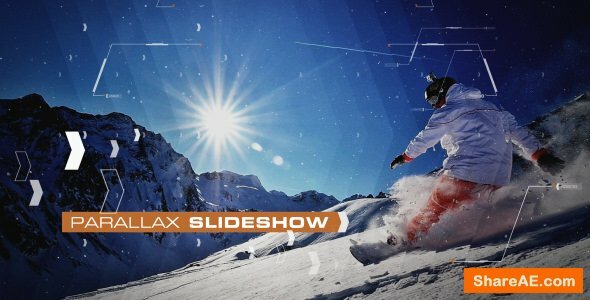 It’s easy to use—simply drop your footage into the designated compositions, edit the text, insert your logo, add music and render—the project quickly builds into a high-impact sequence revealing your logo and tagline! 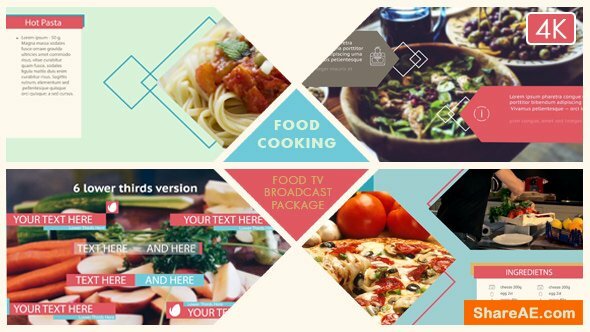 “Food TV Broadcast Package” is a cool simple and elegant template made specially for anyone who wants a Broadcast Package to display and present here cooking channel in easy, elegant and attractive mode. 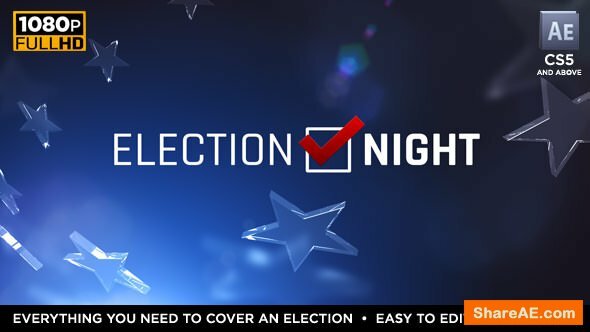 With a total of 24 election elements, Election Night 2018 contains everything you need to build a great looking, vibrant election package. 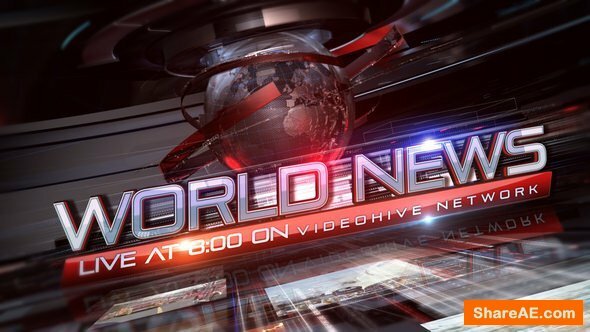 Election Night 2018 is incredibly easy to customize, so you?ll be able to create a professional election broadcast show in very little time. 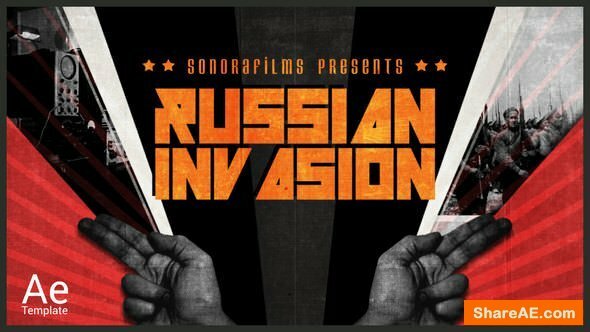 Whether you’re creating a show for the Presidential Election, or a mid-term election, Election Night 2018 has you covered! 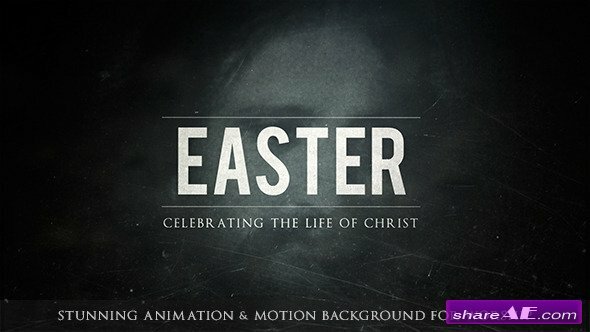 With this complete package of motion graphics you can give a fresh, clean and dynamic style to your videos. 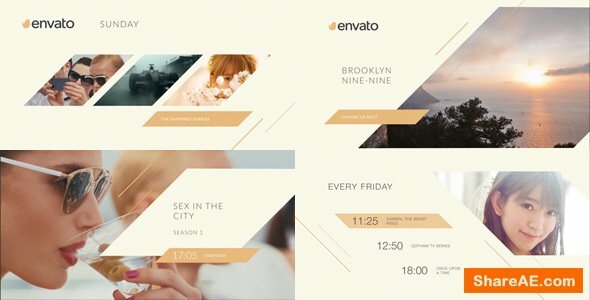 Ideal for TV shows, channels, presentations, web videos, web headers, social videos, etc. 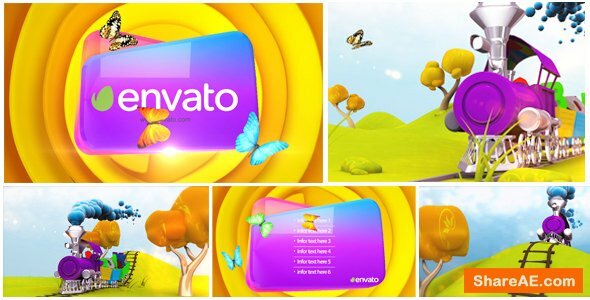 This project was made entirely on transparent background, so you can upload your videos in your favorite editing program, this can result in render much faster and more comfortable editing, but anyway you can upload your videos in the project. 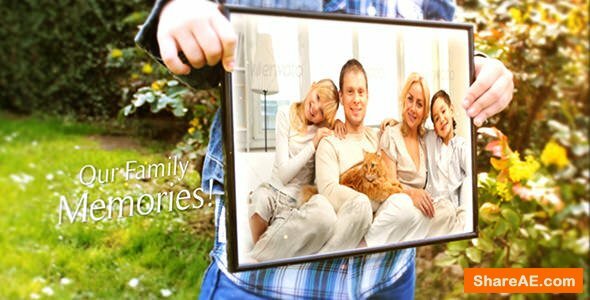 Moreover, in most of the utilities you can easily change the duration. 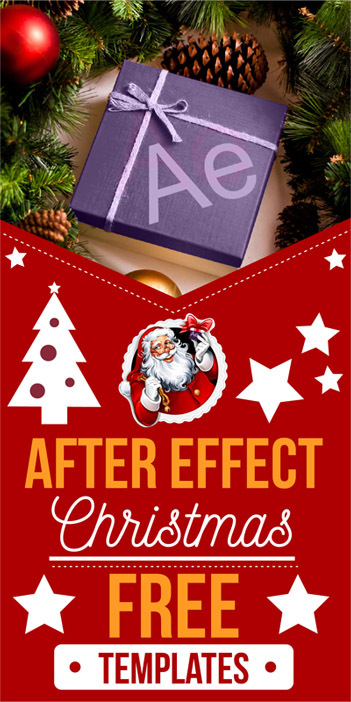 This project is 100% After Effects, so you can tweak everything. I hope you like and find it useful. 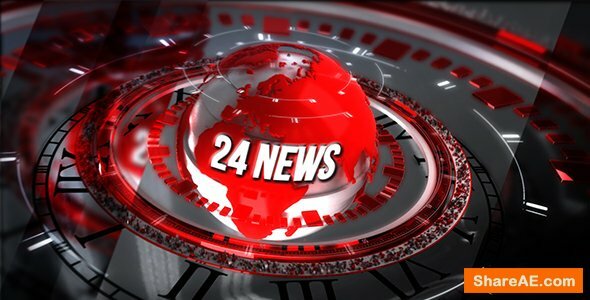 News 24 Package, for news broadcast, YouTube news, blogs, and corporate events. 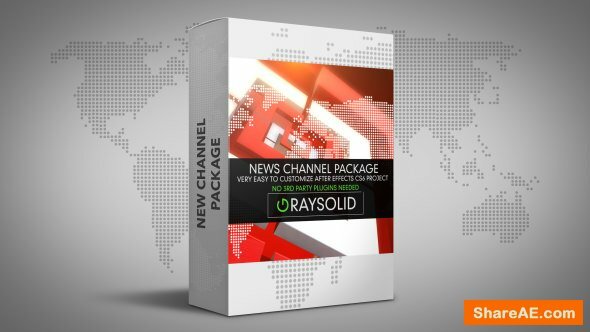 Powerful broadcast news package to help you with your news broadcast. A lot of options the final edit is optional and can be modified for your needs. 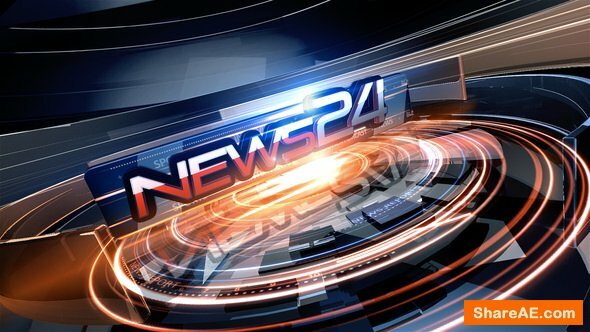 Opener, Headlines, Virtual Studio, Lower thirds, Ticker, Business Ticker, OTS, Split Screens, Info Screens, Weather, Sport, Business and Breaking News Openers and many more. The studio is included just add your newscaster and enjoy…. 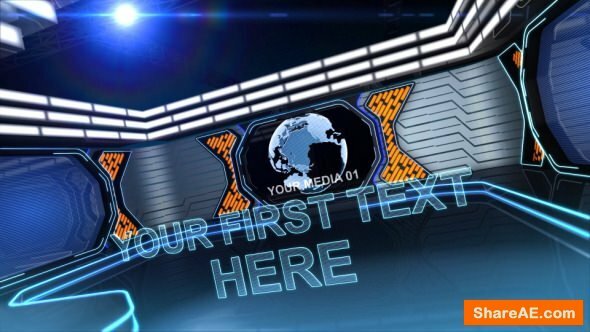 Project is made for TV broadcast news purposes or for your YouTube channel, but it can be also used for other types of presentations. 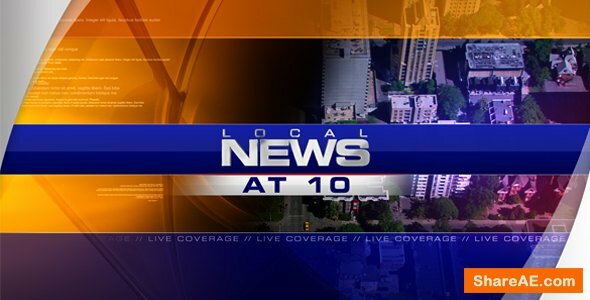 Project includes all graphics for Broadcast news with easy possibility of changing colors to your needs with only one slider. Also Template is modular so each scene from long intros can be separate short intro, or you can change order of scenes and make your montage. 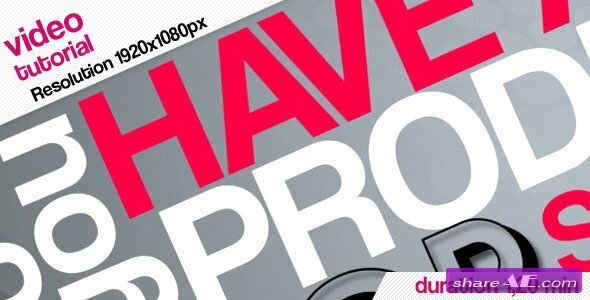 Silver Awarding pack features everything you need to a professional awards show package. 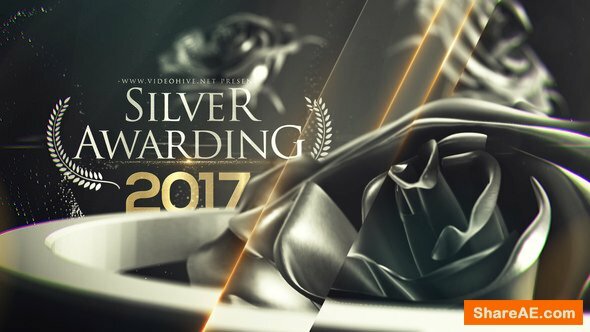 Make your awarding event looks more elegant with Silver Awarding Pack. 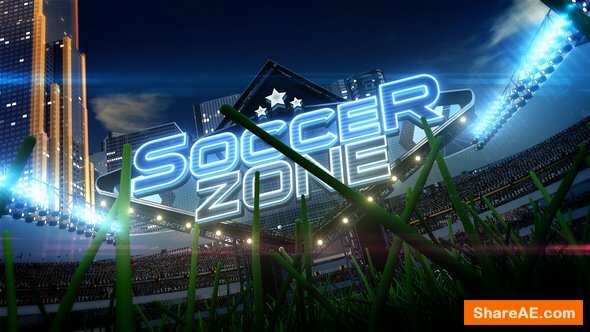 Around The World (Broadcast Pack) this is a complete design for a TV show. Enjoy!